If WeWork leases just 74,000 square feet of office space, the co-working space company will become the biggest private office tenant in Manhattan, the blog recode reported Thursday. This means WeWork would bypass JPMorgan Chase & Co. as the largest private office tenant in the borough. WeWork currently has 57 locations in NYC and represents a little under three percent of office space in the city, but is expected to grow to represent between five and 10 percent over the next decade. How are they securing all of this square footage? Offering brokers 100 percent commissions and huge rental discounts for tenants. To lure new tenants, WeWork is offering commercial real estate brokers a 100 percent commission on the first year of rent paid by any tenant who switches to WeWork from a competing company by October 1, according to Bloomberg. Rival companies include Knotel and Industrious, but WeWork would not confirm the list to Bloomberg. The company also offers tenants 50 percent off the first year’s rent on a 12-month lease. With the discount, broker bonuses from WeWork are about five times the standard commission it usually offers. At the end of 2017, 82 percent of WeWork’s office space was occupied. In addition to developing relationships with brokers, the company just launched a pilot program where WeWork acts as brokers for small and medium-sized companies. WeWork Space Services will launch as a pilot in NYC this September. 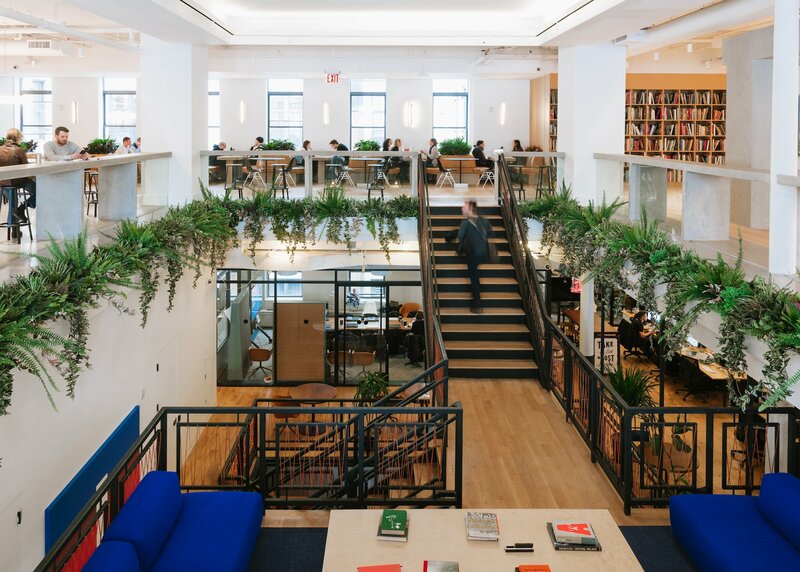 “WeWork Space Services will allow us to retain our relationships with existing members who would otherwise have left a WeWork space by providing them with alternate real estate solutions while benefiting from continued access to our network and community,” Dave Fano, the company’s chief growth officer, wrote on WeWork’s blog last month.